Game #1 Goes To The Dogs! Game one COMPLETE. The Desert Dogs took home our first victory today. We beat the Mesa Solar Sox 12-8. I was scheduled to throw the 9th inning, so I was able to prepare myself throughout the morning for my outing. On the days I expect to pitch, I normally arrive a few hours early to eat breakfast at the field and hang out until batting practice. It was cool to dress out in the Cincinnati Reds uniform. It definitely made it feel like I am a true representative for my organization. Our game was at 12:35, but it actually was not as hot as I expected. Today was pretty cloudy with a nice breeze, however we were hit with some pretty serious dust during the game. There were times when I could actually taste the dust in my mouth. I guess you could say that is just part of playing in the desert. One thing that always makes us pitchers uneasy is the way the ball flies in the dry desert air. If there is much of a breeze, the ball will carry and pop ups can turn into home runs. There were 7 home runs in our game alone! It is never fun to pitch on a day like this. It turns out though; I did pitch on a day like this. I am very pleased to say that my outing went much better than I would have expected with the conditions. I came in to pitch the last out of the 8th inning and then pitched the 9th inning. My pitches were working well today and my arm felt good. I am proud to say that I recorded my first save of the AFL, and I am looking forward to continuing to help my team win some ballgames! Heading back to the ballpark to do it all again tomorrow. Great game you guys had. Congratulations on your first save. See you all at the end of October. We are driving over from Los Angeles for the week. Glad to hear you are coming out to catch a few games! It will definitely be a fun time. Heard you had a great game. Continue in style! You understate how well you pitched today. That was some of the worst conditions to pitch in and you K’d everyone. Very impressive!!! Love that you were chosen to blog about all of this! Looking forward to seeing you in Cincinnati in the future! What are your best or “go to” pitches? I like to pitch mainly off of my fastball especially in key situations. Nice job the other night Brad. 4 K’s and a save!!! 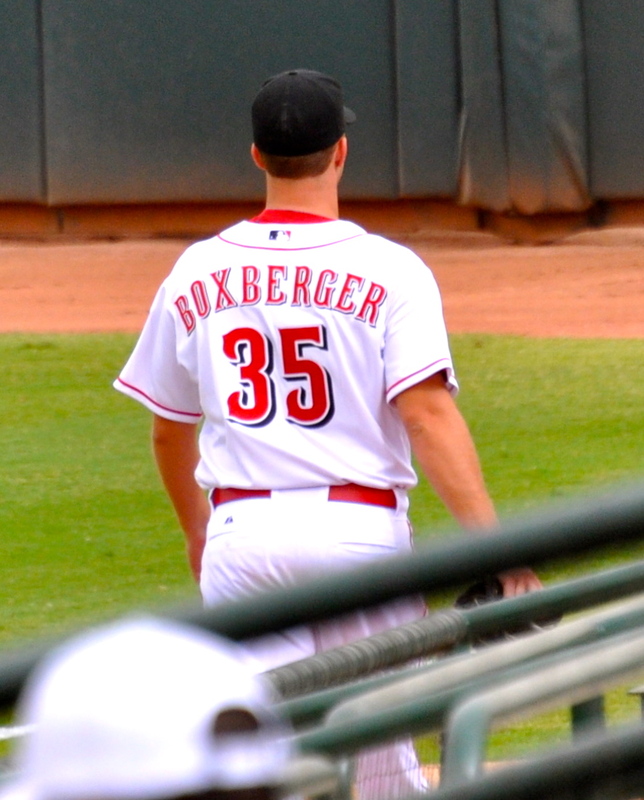 You keep pitching like that and I’ll be driving 2 hours south to Cincinnati next summer to watch you pitch in person! Can’t wait to see you in the Bigs! The Reds continue to have the most integrity and class in the majors, and it looks as if you’ll fit right in. It’s great to have you in the organization, and we’ll be rooting for your success! 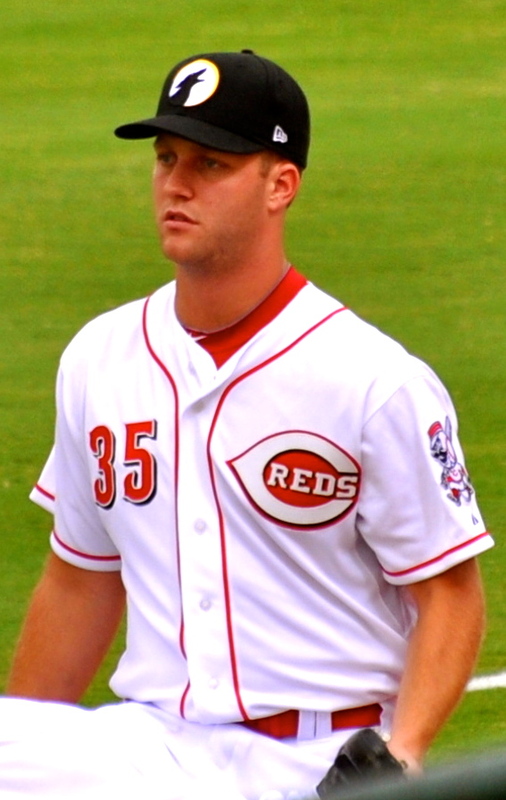 Hey Brad—Great job with your Opening Day 4 K’s!…..I’m hoping to watch you pitch for Cincinnati sometime in 2012! Please answer this question me and my Reds buddies have….Do you get paid for playing in the AFL?….Like, do you get more or less than what you got paid in Louisville? Do you get daily meal money on top of a salary? The AFL is an honor to be a part of and it is more about the exposure and opportunity to play than it is about the money. Unfortunately, this is a question best answered by a team official. Thanks for following me and for your question. Hi Brad—-Another good job against Scottsdale last night! Of course, the 2 walks and the infield single wasn’t good, but the 3 K’s were!……You now have recorded 7 outs, ALL with K’s!….What kind of pitches did you throw to get those 3 K’s?…..Again, I hope to see you pitch in Cincinnati in 2012! This last outing I was using my fastball and change up to walk/ get the hitters out. haha Thank you again Eddie for following the games! Another good outing against Peoria on Oct. 11…….Nobody has hit the ball past the infield in 3 games against you! Here’s a question for you—-who is a better hitter, you or Nick Christiani? And who would be called on to pinch run, you or Christiani? Well obviously…I would be the better hitter. As for the pinch runner, I would have to give that one to Chiristiani only because I would be reserved for pinch hitting. It was just reported that Aroldis Chapman will start a game in the AFL on Monday, October 24……I’m assuming Chapman will pitch for the Desert Dogs…….Will you please give us your impressions about Chapman?……. (And what positions did you play in college on days you didn’t pitch?—–that made you such a great hitter? ) ha ha. I did not play any position in college other than pitcher. I just excel during pitchers batting practice. Chapman will be pitching for us and I think that he has established himself as a top pitcher in the baseball world. But like all of us no one is perfect and is always looking for something to improve on each day. Hi Brad……I keep up every day with the Desert Dogs…….I have a question about the roster since Chapman arrived. I know the Reds can’t send an unlimited number of players to Phoenix…..Is Grandal on some sort of DL, which allows Chapman on the roster? Please explain the roster numbers to us Reds fans…..And also, if you’ve been watching the World Series, you’ve seen how important bunting skills are for the pitchers. You said you are a good hitter, how about your bunting ability? Yes Grandal is on the DL for his finger so that allowed Chapman to join the team. I have been watching the World Series and bunting always plays a big role in big games. I believe I am a good bunter if I ever had the chance to bunt, but I have not had the opportunity yet. Hey Brad—–Congratulations for being named to the Rising Stars West team for Saturday, Nov. 5…..I’m sure plenty of Reds fans will be watching the game live on the MLB Network. I’m sure you will get an inning of work. Thank you for the support and I hope you and everyone else can watch on the MLB Network.